First up, well, it looks like nothing is sacred these days. Rob Zombie, whose career so far has consisted of the woeful House of 1000 Corpses, and the even worse Devil’s Rejects, this time has a stab at remaking John Carpenter’s all-time classic Halloween. Expect none of the subtlety, subtext or genuine creepiness of the original. Apparently Carpenter has given the project his blessing, but he lost the plot a long time ago too. 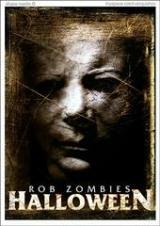 Let’s hope White Zombie reform soon and get RZ back to what he knows how to do. And then we come to The Invasion, which has the dubious distinction of being a re-make of a re-make, and even that ignores Abel Ferrara’s own underrated 1993 remake, entitled Body Snatchers. 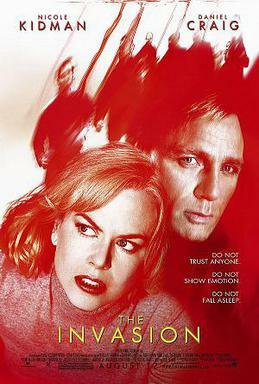 This version stars Nicole “I act only in moody looks” Kidman and Daniel “filling time between Bond films” Craig, also to co-star in the upcoming series of Philip Pullman adaptations. It appears to have had a rather chequered production history, with reshoots and rewrites flying around all over the place, leading to the fairly safe assumption that it will be a complete mess and not at all scary at all. Shame for DC, who you feel needs a few solid vehicles to shake that “oh, he’s that bloke who was in Our Friends in the North once and now is James Bond” tag, and establish himself as a worthy character actor. Nicole Kidman? Well, a few more duff films like this and maybe everyone will start seeing just how overrated she really is..
And just when you thought a horror franchise had run out of ideas, they’ve made Saw 4, undoubtedly with even nastier ways of making people mutilate themselves for self-preservation. The first Saw film was genuinely entertaining, though it ran out of steam towards the end, but since then its been an exercise in cynical franchise-weaving, with plot and ingenuity seemingly playing second fiddle. Piss-poor stuff really, and no doubt we will be seeing the likes of Saw 20: The Beginning (again) pop up sometime around 2025. Joy.